Founded on clinical leadership, veEDIS has amassed deep experience in all aspects of EDIS implementation, integration and support. At the crux of our mission is a firm commitment to the patients our customers serve. Just as the ED is the front door of any hospital, veEDIS is the backbone of the ED. Tom is a successful entrepreneur. In 1991, he founded Integrated Healthcare Services of America, a company dedicated to the development of software to assist in the management of hospital emergency departments. Under his direction, the company’s flagship software ProMed has evolved to become the leader in Emergency Department Management Systems (EDIS). Founded on clinical leadership, the ProMed team amassed deep experience in all aspects of EDIS implementation, integration and support. Clients range in size from 35 to 700-bed facilities in large and small hospital networks, and many independent hospitals. Serving 35 million patient records and more than 200 hospitals nationwide, ProMed has earned a reputation from its ability to leverage data to help hospitals maintain quality standards, facilitate peer analysis and remain competitive in the healthcare marketplace. 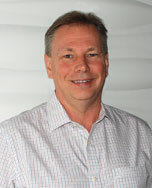 With 20 years of specialized Emergency Department (ED) experience, Tom founded veEDIS Clinical Systems LLC. The veEDIS’ team of healthcare professionals designed a unique cloud- based EDIS system which automates many important functions to assist clinicians in administering appropriate, cost-effective and consistent high-quality patient care. Tom holds a B.S. in Finance from the University of South Florida and an MBA from the University of Miami. 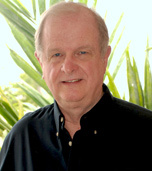 Len has practiced as a Registered Nurse in two states. After nursing school, Len joined the Emergency Department staff at a Level II Trauma Center with annual visits of 35,000 and was soon promoted to full-time Charge Nurse. He also served as a Team Leader in a Level I Trauma Center with an annual patient volume of 75,000. As the Director of an Emergency Department with 20,000 annual visits, Len led a JCAHO survey that was successful with "no recommendations". Len joined Pro-MED in 1994, bringing more than10 years of Emergency Nursing and emergency department management experience. His leadership of the team of emergency nurses and physicians, led to certification of Pro-Med EDIS software by the Drummond Group (Meaningful Use), enabling hospitals to seek the earliest stimulus funding opportunities under the American Reinvestment and Recovery Act (ARRA). 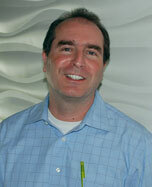 Len brought his 20 years of specialized Emergency Department experience to his position at veEDIS Clinical Systems LLC. He continues to direct a team of emergency nurses and physicians, playing an integral role in veEDIS cloud based Emergency Department Management Systems (EDIS) software design. He also provides education and consulting services to scores of emergency departments across the country. Len completed nursing school at HalifaxCommunity College in Weldon, NC (NEWH Consortium) with continued studies at BartonCollege in Wilson, NC and EastCarolinaUniversity in Greenville, NC. Bruce has worked at extremely busy emergency departments, including Bellevue Hospital, NY, and JFKMedicalCenter, West Palm Beach, FL, as well as rural hospitals including RaulersonHospital, Okeechobee, FL and GallupIndianMedicalCenter, Gallup, NM. 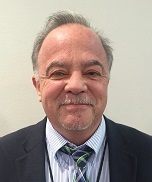 Throughout his medical career Bruce has advocated adoption of technologies to improve efficiency and safety of patient care through IT steering committees and the independent development of electronic EMR systems. Bruce is involved in the design of veEDIS, shaping the navigation interface to be more efficient and intuitive to clinical users, introducing new features including Data Incongruity, building Evidence Based Medicine (EBM) Clinical Decision Support content, and other unique features soon to be released. Bruce holds an ABEM Board Certification in Emergency Medicine. Bruce's undergraduate education at GeorgeWashingtonUniversity began with training in engineering before pursuing biologic sciences.Upon completing medical school at SUNY (State University of New York), Bruce did Residency Training in Emergency Medicine at BellevueHospital / NYUMedicalCenter. After 20 years in pediatric practice, Dr. Morter made the change to the technology side of healthcare, initially as a physician-EMR trainer in 2007. Working side-by-side with physicians as they incorporated new electronic documentation systems into their workflow, he was a key ingredient in hundreds of successful "go-live" events. Subsequently, Dr. Morter amassed deep experience in the areas of emergency medicine, as well as product design and development, quality assurance, and report analysis. In his role as veEDIS Chief Medical Officer, Greg works with a team of clinicians and developers along with the customer base to ensure product design and workflow are aligned with clinical best practices. Dr. Morter continues to provide vision, direction, and support to the evolving suite of veEDIS technology solutions, including the core Emergency Department EHR application as well as veEDIS CareTRAK™, an unparalleled decision support and communication tool. Dr. Morter received his undergraduate degree in Chemistry from Duke University and his MD from the University of Pittsburgh School of Medicine. Mike has more than 20 years of experience as an application/systems architect having successfully designed, built and launched major commercial application projects used by over 3,000 facilities nationwide. His technology innovations have been featured in trade publications including RFID Journal, Business Solutions Magazine, Nation’s Restaurant News and Hospitality Technology. Mike designed and managed the full scale physical-to-virtual migration of Pro-Med’s information technology infrastructure to a cloud-based Software as a Service (SaaS). This achievement is part of a technology strategy that ensures business continuity during catastrophic events. Throughout Mike's storied career, he has been recognized by a number of highly acclaimed distinctions including: Business Solutions Magazine Best Channel Product 2009, Best Channel Vendor 2009, Best Channel Product 2010, and Best Channel Vendor 2012) as well as the Retail Solutions Provider Association (RSPA) Innovative Solution Awards for 2008 and 2009 and RSPA Technology Pavilion 2009. DineBlast Mobile: An on-premises, customer facing experience for orders and payment using a SmartPhone mobile device. 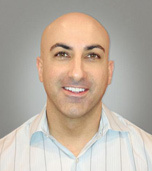 Mike has also excelled in security, earning PCI PA-DSS validation for multiple applications. The veEDIS EHR Module is 2014 Edition compliant and has been certified by an ONC-ACB in accordance with the applicable certification criteria adopted by the Secretary of the U.S. Department of Health and Human Services. This certification does not represent an endorsement by the U.S. Department of Health and Human Services or guarantee the receipt of incentive payments. veEDIS Clinical Systems, L.L.C., a Florida limited liability company; Date certified: 09/18/2014; Product version: veEDIS v2.1; Certification ID number: 09182014-2528-8, Clinical Quality Measures certified: No Clinical Quality Measures tested; Any additional software relied upon to certify: No additional software used; Meets EHR Certification of the following: 170.314(a)(1‐11, 13, 14, 17); 170.314(b)(1, 2, 4, 5); 170.314(d)(1‐3, 5-,8); (f)(1); 170.314(g)(1, 3, 4). This modular certified product-version has contractual obligations and may require one-time implementation and monthly subscription costs. Additional one-time costs and/or ongoing costs may be required for the development, implementation, and supporting of the following items: ♦ Creation, sharing or transmitting of data and/or Summary of Care Records. ♦ Lab and Radiology Interfaces. Click here for detailed product costs and limitations information.